Situated in a central court location, this luxurious two-storey home proudly resides in one of Melbourne’s most prestigious suburbs. Impressive in size and structure, Riviera Building Group has delivered a family friendly home that strikes a beautiful balance between internal and external spaces, connecting every aspect around the central pool and well-lit garden. The home unfolds as you make your way through, creating a series of areas that are visually interconnected through the expansive use of large, well-positioned glass. The completed product is spectacular – it is clean lined and modern and the materials adopted are simple and unpretentious. It was considered that the house ought strike a balance between show-piece, yet be functional and robust enough to cater for the rigors of family life. This has been achieved plus so much more. 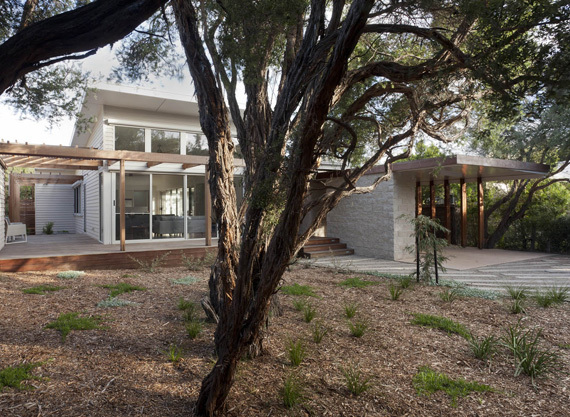 The site for this project is uniquely set on five acres of natural bushland at the base of historic “Arthurs Seat” on the Mornington Peninsula. With this in mind, the Client’s wanted to utilise and capitalise on the surrounding countryside, taking advantage of the spectacular panoramic views to full effect, but also building a home that blended seamlessly into the environment. 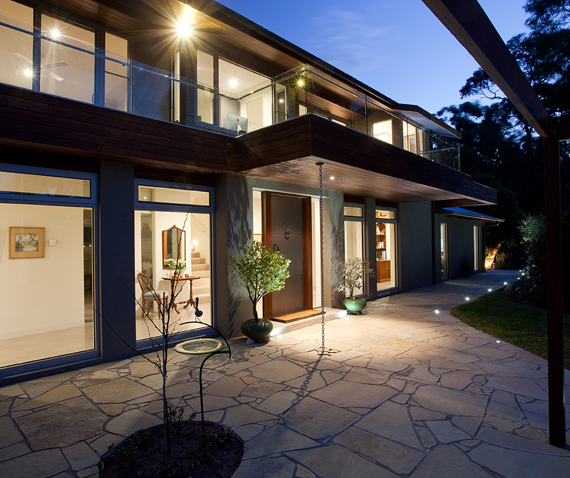 The finished result is an astounding testament to the Builder’s professionalism and attention to detail at every level. This distinctive home sits proudly at the base of Arthurs Seat with its earthy tones and colours and indigenous use of materials – an extension of natural, breathtaking beauty – blending beautifully with the landscape of Arthurs Seat and complimenting one another perfectly. Listed as “The Refined Art of Renovation,” this property was put on the market almost immediately after we completed work on it and sold in just 2 weeks. Described by Real Estate Agents as an intelligent approach to renovating, we produced stunning results throughout “Carlyle,” a classical Victorian in Albert Park. The original single storey house was fully renovated to produce a living/dining domain defined by Sydney Blue Gum floors and open tread staircase. We added on another storey upstairs, which allowed for two further bedrooms, one with a large terrace, the other opening to a sunny balcony that sees the city; each boast built-in robes and surround a sky lit bathroom, fully tiled and flawlessly finished. A decked courtyard with integrated seating and clever storage makes a secluded outdoor conclusion to a superb designer Victorian home. 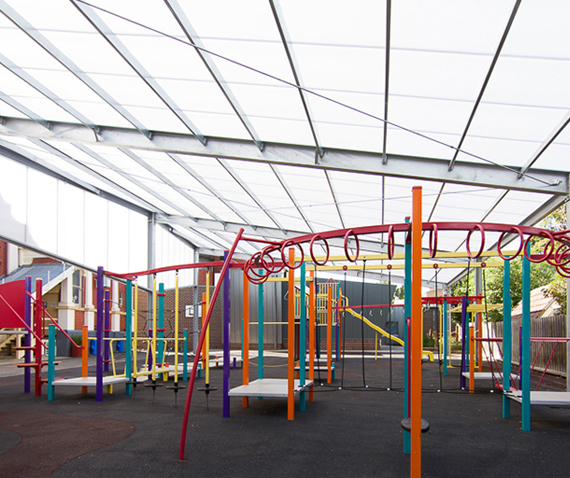 Engineered Commercial Canopies are an innovative and contemporary design structure that allows light filled, year-round use with protection from not only the harmful Australian sun but also the rain and wind. These custom-made canopies have unlimited design prospects and distinctly set themselves apart from other structures. Unlike shade sails, the light architecture glazing used will not rip, allow rain through or become weathered and unsightly. In fact, because the roof is 16mm thick, it is also fully trafficable, which means waylaid sports equipment can be returned. The additional use of fully engineered, galvanised structural steel ensures structural safety and by using steel, we are able to span columns further apart which gives a sense of space, particularly under large areas. 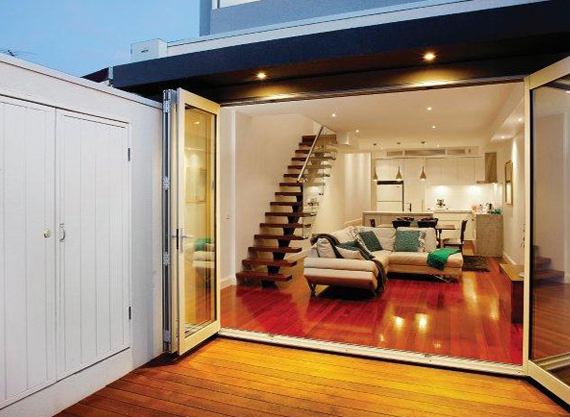 As an Award Winning Building Company, we are able to offer an Australia-wide distribution with most materials prepared off site so there is far less disruption during the building process. They are a perfect choice for schools, local council parks or any large commercial project that requires maximum light and the feel of space. This gorgeous holiday home in Sorrento was purpose built to accommodate the couple from Toorak and their extended family, taking advantage of the ti-tree and relaxed beach-side lifestyle. The design brief was to allow for two separate living areas with a sliding obscure glass servery window in-between to open the space up if need be. The original holiday house was demolished and in its place we produced this stunning home clad in stylish Stria Weatherboards. Every angle of the abode affords an al fresco feel, blending easily into the natural landscape of the exterior to be as one. Blackbutt timber flooring throughout plus a custom-made front door provides an enticing entry, with the Master bedroom and en-suite situated at the front of the home, overlooking onto one of the Spotted Gum decks available. A continuous raking ceiling with high outlook sky windows compliments the living areas perfectly, bringing the outdoors in from all angles. The kitchen has a large, very functional butler’s pantry and can also open up as a serving area to the family room with a slide window, or it can be closed for privacy. The design ensures that when relatives or friends visited, they could do so with a private area for them to relax, sleep and also access the yard, with a further two bedrooms and a bathroom at the back of the home. Every need has been met here, with a hidden tool & garden shed built into the side of the house, masked behind the weatherboard cladding. An outdoor shower at the side of the home means a quick rinse off after a day at the beach and sand free floors inside! Attention to detail in the build of this home is evident everywhere, in particular when viewing the countersunk exposed bolts throughout all external Ironbark timber beams. Environmental considerations have also been taken into account with all external windows having a 50mm thermal break to ensure maximum energy efficiency. A 3,000 litre under-deck rainwater tank for garden use has been installed, plus a solar hot-water system. Consideration to the design and build of the home was also factored in with respect to the BAL Rating which is applicable in this high-fire zone area.